One step at a time, we're getting there. Markram believes that with the state of technology today, it is possible to build an entire rat's neocortex, which is the next phase of the Blue Brain project, due to begin next year. 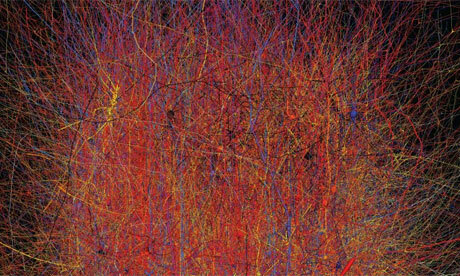 From there, it's cats, then monkeys and finally, a human brain. Markram is banking on Moore's law holding steady, as a computer with the power of the human brain, using today's technology, would take up several football pitches and run up an electricity bill of $3bn a year. But by the time Markram gets around to mimicking a full human brain, computing will have moved on. Markram is not holding his breath, waiting for some emergent consciousness to arise from the silicon brain. What he is after is something more prosaic, but also a lot more useful than a talking machine. By understanding the function of the brain, we can also begin to understand its dysfunction. Can't wait for Visual Studio 2008!